I am on the go - Go Go Go! One of my favorite breakfasts in the world is oatmeal, but I don't always have time to sit down and enjoy it. 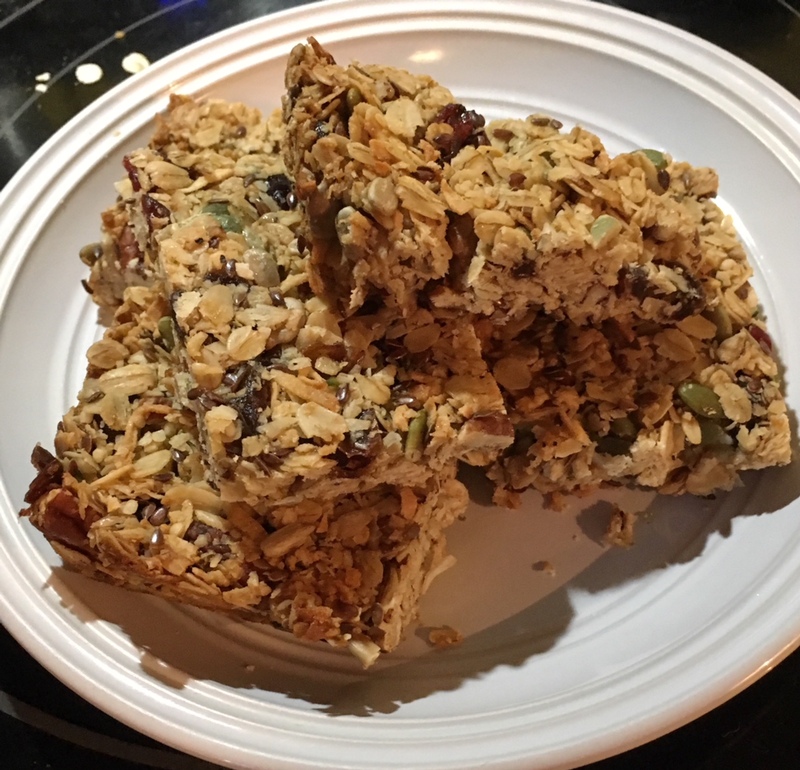 I did some searching and found several great recipes for granola bars, combined 3 - 4 different recipes and came up with this one :) Now I have something that I can grab on the go, and still feel full all morning. Combine all dry ingredients first. Press down hard. I used a broad bottomed bowl and mashed it in there good!! Cool, cut into 12 squares. I used honey, because I was out of molasses. Use molasses or maple syrup to make it vegan, which will change the calories as well. May try it again with agave, but I am not a fan of it. I also used salt and pepper, because I am more into the savory/salty than the sweet. Store in fridge in air tight container.